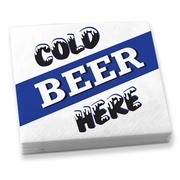 The Cold Beer Here Napkins are perfect for serving beer or hors d' oeuvres. 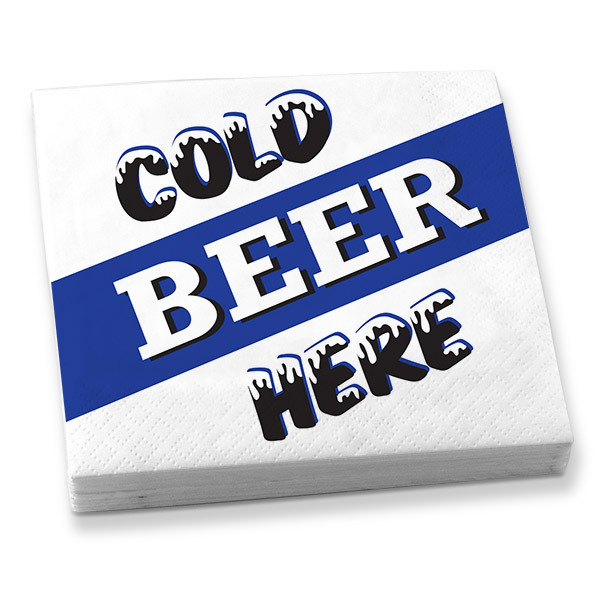 These napkins are 3-ply, and come 20 per pack. Discontinued Item but we have 6 pkgs AVAILABLE !